This centre is ideally located next door to the Green park shuttle bus service, and is just 1 mile from junction 11 of the M4 motorway. The centre provides Grade A office space, meeting rooms, a business lounge and kitchens. A full selection of business support services is available to all clients. These industrial units are based on the Battle Farm industrial area with links to the M4, the station and in close proximity to Reading town centre. The site allows for tenant controlled access and benefits from CCTV and full height shutters. All units come with mezzanine floors and there is the option for broadband. Units come with dedicated parking spaces. This space is located just one-minute from Reading Railway Station, which offers regular direct services into Central London. On-site facilities include a lounge area, WiFi, showers, printing and copying facilities, access to a kitchen and an on-site management team. There are many bars, restaurants, cafes and shops nearby, as well as a range of Reading's other attractions. The space is accessible 24-hour a day. A business centre with a full complement of modern facilities, located in an ideal position for transport links and Reading town centre. This centre includes all the services expected of a highly professional business work environment with reception and conference support teams, leading edge technology including video conferencing and a cyber café. The nearby M4 provides a road link to London and Heathrow airport and Reading station ensures access to public transport too. The on-site restaurant and shuttle bus add to the comfort and convenience. With high-class office availability for three – 200 people, this refurbished self-contained building is situated in Reading town centre less than 500m from Reading station and 750m from The Oracle shopping and leisure complex. Reading Railway Station offers fast, frequent connections to London Paddington, meaning meetings in the city are no issue. Reading has an array of bars, restaurants and cafes. The building is based on a Science Park in Sinfield, a thriving area of Reading. With over 60 co-working spaces available on your flexible terms, the space is perfect for small start ups and individual entrepreneurs alike. Choose from hot desk, flex desk or permanent desks in this light and airy setting, where you'll benefit from excellent networking opportunities as there are free business workshops and briefings available to you. Many breakout spaces and meeting rooms are located throughout the building, giving you an ideal place to hold your next meeting or you can even take advantage of the on-site conference facilities. Accessible 24 hours a day and with around the clock security, you'll find this space the perfect setting to watch yourself and your business grow. Located next to the M4 motorway and easily accessible by many public transport routes, you'll find yourself with an easy daily commute. There is cafes, restaurants and fitness centres nearby, ideal for your out of office activities. Located conveniently for Reading, this modern office building provides a service that can be tailored to your individual business needs. There is flexibility around aspects such as furnishing, services and storage, with package deals available. Benefits include 24hr access and on-site parking. Reading provides shops, bars and restaurants; Reading and Reading West stations and the M4 link you to London and Heathrow. 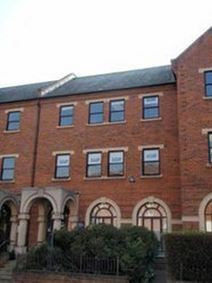 With an enviable location for Reading town centre, including the Railway Station and all local services, this office accommodation is offered in a huge range of sizes and on flexible terms. Benefiting from air-conditioning and full management service, the business team aim to provide a centralised service to save your company money. Also provides shops and a town centre buzz, right on the door step. This space offers members an array of amenities, including meeting rooms, a business lounge, administrative support, printing and copying facilities, conference facilities, access to a kitchen and reception services. Reading is a town in the Thames Valley and has excellent amenities, as well as great transport links to London from the railway station. There are also fine road connections as well as easy access to air travel. 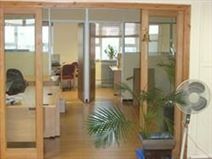 Based within a business centre and, these original and modern offices offer a high standard of work space with close proximity to Reading town centre. The offices benefit from professional services to include a fully staffed reception and excellent meeting facilities. Local transport links include the M4, just minutes’ away and rail links from Reading to London. Available on very flexible terms from 3 months to 5 Years. This intimate coworking space is perfect for startups, freelancers and bigger businesses and is located in the epicentre of the Thames Valley’s business scene close to both the city centre and Reading Train Station. Private offices and hot desks also available at this location, offering something to fit most business needs. Amenities include showers, bike racks, parking and a panoramic roof terrace. This property is a bright, modern office building located close to Reading town centre. Convenient for transport links, Reading mainline station is within walking distance and the M4 all ensure London and Heathrow are within easy access. Eldon Court is self-contained and benefits from car parking space. This modern business centre offers office accommodation with a full package of services and a vibrant town centre location. Services are provided on an 'all inclusive' basis and include communications, meeting and conference facilities, as well as extras such as an on-site gym and daily refreshments. The superb location ensures that transport links and local services such as shops, bars and restaurants are within walking distance. London and Heathrow are accessible from the nearby motorway network and the mainline railway station. Combining office space with the availability of warehousing, this mid-century building has been updated to a modern look with wooden floors as well as air-conditioning. Based in a small business district near Reading and convenient for transport links via the motorway network and Reading mainline station. The office is self contained and includes kitchen and toilet facilities. Flexible and economical office premises that include the option for warehouse space. Based just outside Reading town centre, 15 minutes’ from Reading West railway station on foot. This space offers maximum adaptability along with rates that are all inclusive of services and utilities. These units are well placed for access to the motorway network via the M4 at junction 12 and include on-site parking. Sited on the Queen's Road, just south of Reading centre, this modern office accommodation offers open plan space over three floors. The property's location ensures all the shops, bars and restaurants of Reading are a few minutes’ away. Transport links are excellent with Reading mainline station providing direct trains to London and a convenient drive to the regional motorway network. This property also benefits from a car park and being self-contained. Located within the office tower above Broad Street Shopping Mall, this centre provides brand new serviced office accommodation across two floors. The centre will boast a stylish reception area and co-working hub, consisting of40 desks. Parking spaces are available should they be required. Reading Railway Station is minutes away, offering great services, including to London, and there is 24-hour access to the centre. This modern, detached, two-storey commercial building is just half a mile from Reading Town Centre and an eight-minute walk to the train station that provides regular services to London (Paddington) and the West Country. Each office space offers complete security and accessibility. Located in Reading, this fantastic space offers everything needed for the modern day business. Accessible 24-hours a day, there are reception services, access to a fully equipped kitchen, break-out and lounge space, conference facilities, postal facilities and mail handling and meeting rooms. Reading train station is opposite the centre, and provides direct services to London Paddington and London Waterloo. With a unique setting on a nature reserve, yet only a stone's throw from Reading town centre, this contemporary business centre is built to a high specification and offers fully serviced office space on flexible terms. The accommodation provides a complete package of services for your company including reception and meeting rooms, video-conferencing and a cyber café. In addition these superb facilities include car parking, air-conditioning and 24hr access; all only a short ride on the shuttle bus from Reading itself.